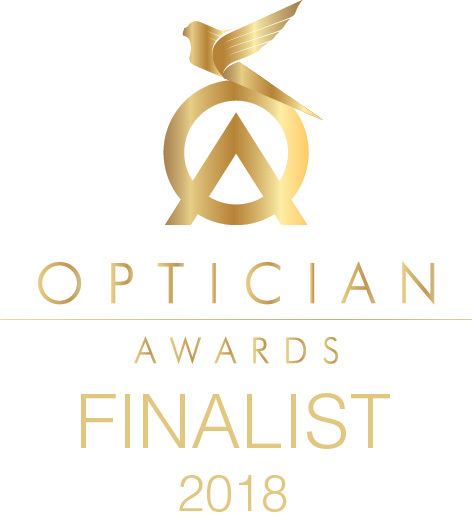 Having won numerous awards and accolades over the past 12 years, this year Zacks director Jonathan Cohen was invited to join the judging panel to asses entries for the 2019 Optician Awards. There were several entries of an incredibly high standard which made it extremely difficult to choose the winners. 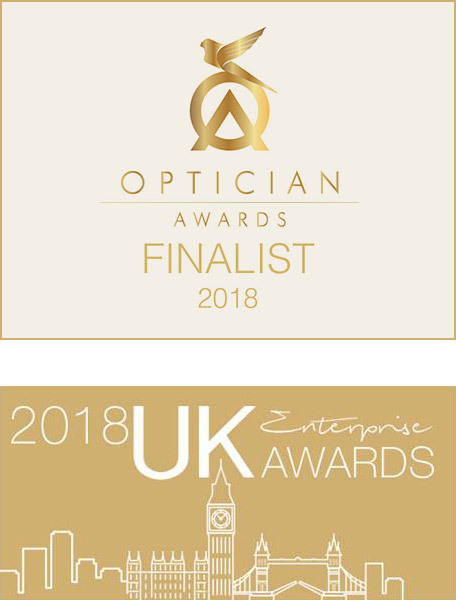 Zacks Eye Clinic were awarded ‘Optometrist of the Year’ in the 2018 UK Enterprise Awards and were shortlisted in the 2018 Optician Awards for the practice growth Award. These awards follow the expansion of our specialist clinics and recognise the significant practice growth through the provision of specialist services such as orthokeratology. Director, Jonathan Cohen and his team are dedicated to providing a first class service, from eye tests to frame fittings, diagnosis of eye conditions, specialist contact lenses and bespoke individual treatment plans for patients of all ages. 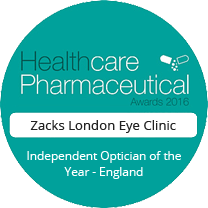 Zacks London Eye Clinic were awarded the ‘Independent Optician of the Year 2016’ in the 2016 Healthcare & Pharmaceutical Awards. The judges were impressed by the wide range of specialist services provided, the hi-tech imaging equipment and the number of supportive patient testimonials commenting on an exceptionally high standard of clinical care and dispensing advice. Zacks have provided expert eye-care, cosmetic contact lenses and spectacles for numerous productions of stage and screen including Four Weddings and a Funeral, Gandhi, Batman and Prime Suspect. 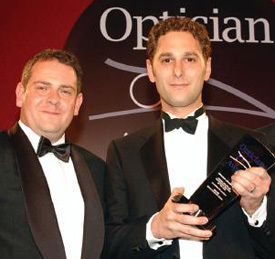 Passion for his profession and a real community spirit, despite being in a city centre location, were two of the reasons why Jonathan Cohen, director of Zacks London Eye Clinics, was named ‘Optometrist of the Year’ at the 2009 ‘Optician Awards’. 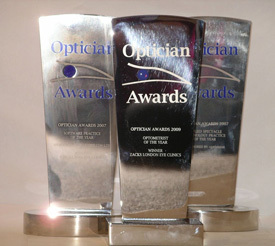 This Award now stands alongside the ‘Software Practice of the Year’ and ‘Dispensing Technology Practice of the Year’ trophies which Zacks Kings Cross Eye Clinic won in 2007. To win Optometrist of the Year judges were looking to reward an optometrist who uses their optometric skills to enhance the lives of patients and colleagues, with evidence of excellence in a range of areas, including clinical techniques, interaction with other practice staff and management and most importantly, patients.